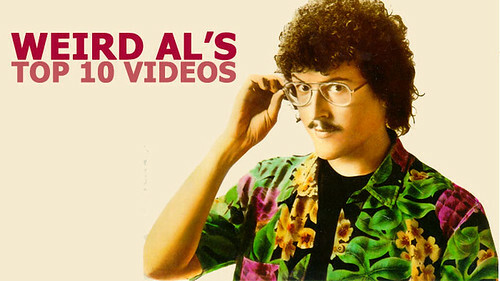 Before I go ahead and offend the whole Weird-Al-Lovin’ World (Close Personal Fans of Al, I’m looking in your direction), let me get an electronic word in edgewise and say that the following is a personal list of my favorite Weird Al videos in my personal order. I know that there are those of you out there that will spend countless hours debating the subtle nuances of why “White and Nerdy” eeks out “Fat”, but let me say this…Weird Al fans of new and old, can’t we all just get along? For goodness sakes, hold hands, sing some parodied version of Kumbaya, and enjoy…. Posted on September 27, 2006 at 10:38 am.